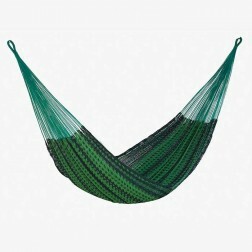 This hammock has luxury written all over it. 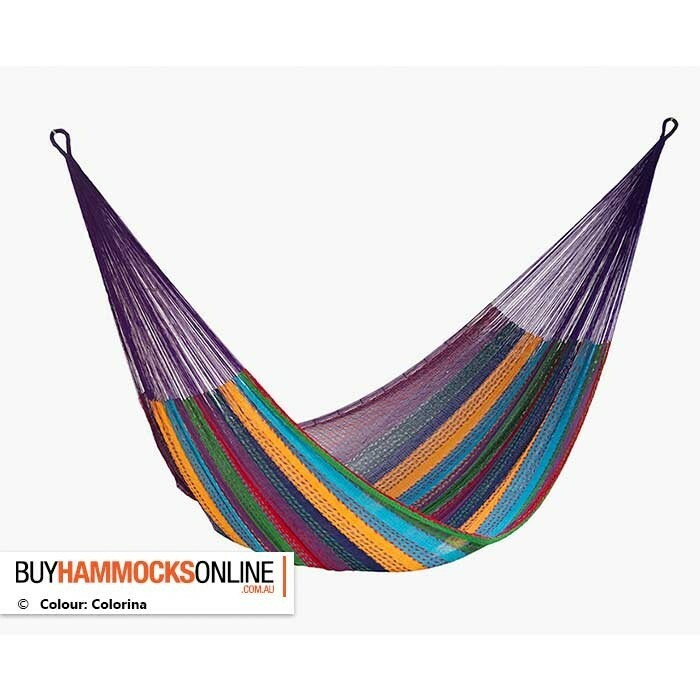 Superior in strength and comfort, it's hard to beat. 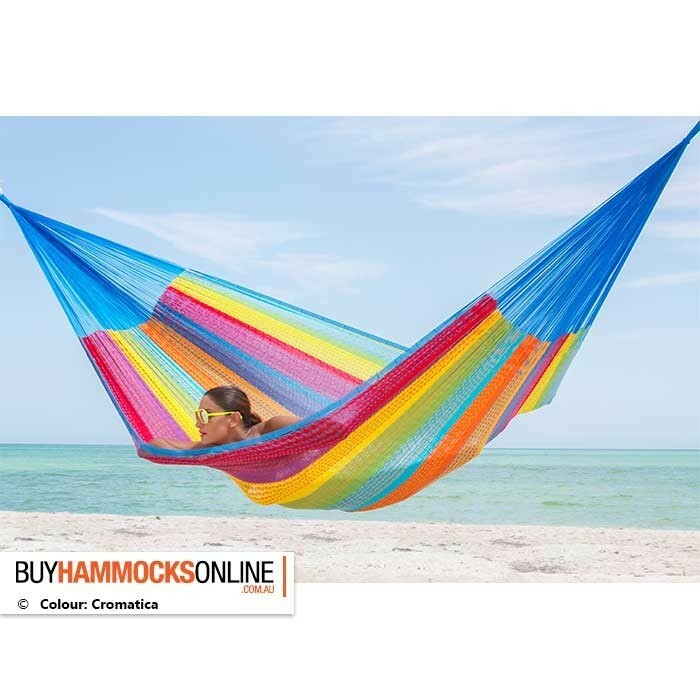 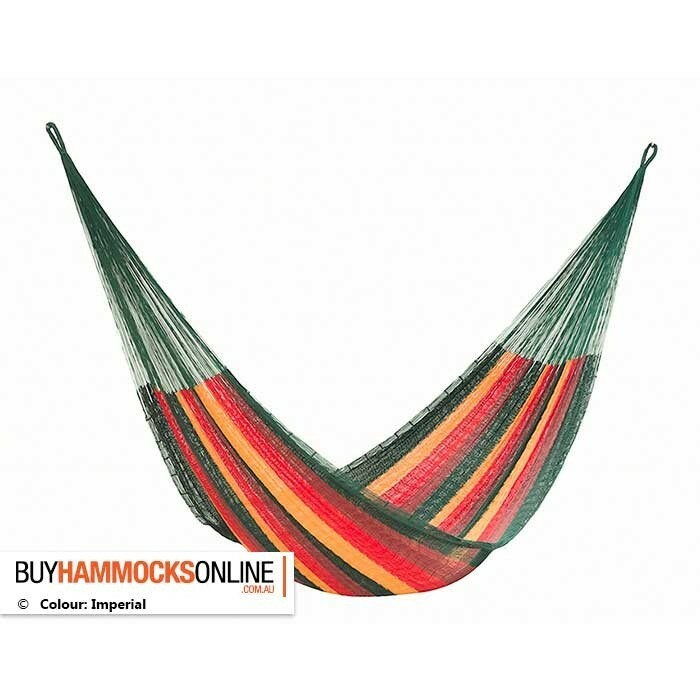 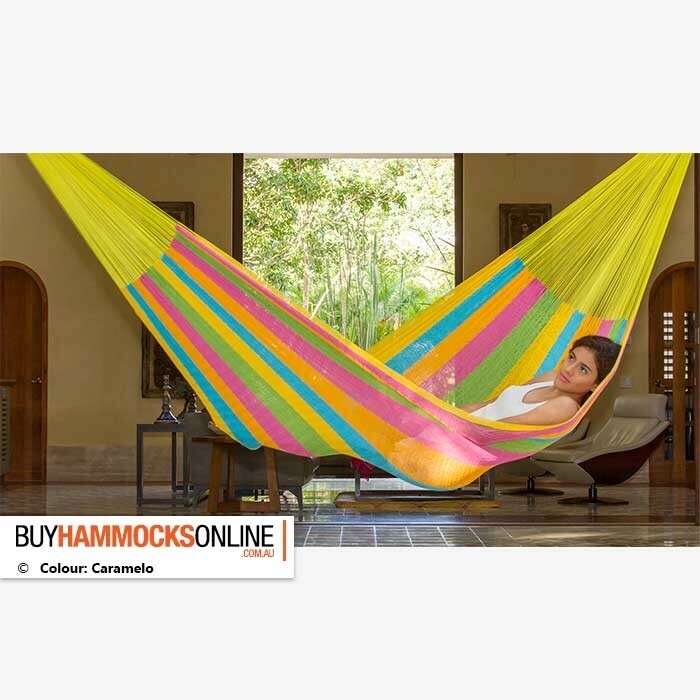 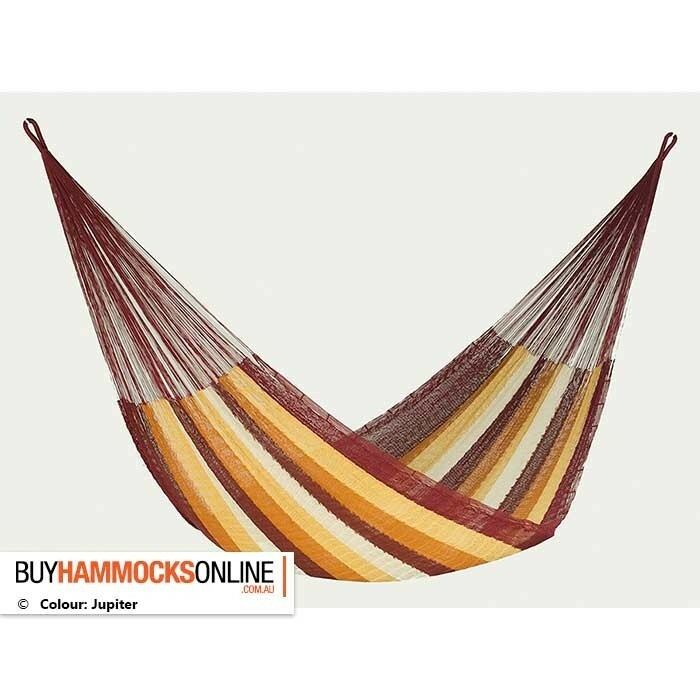 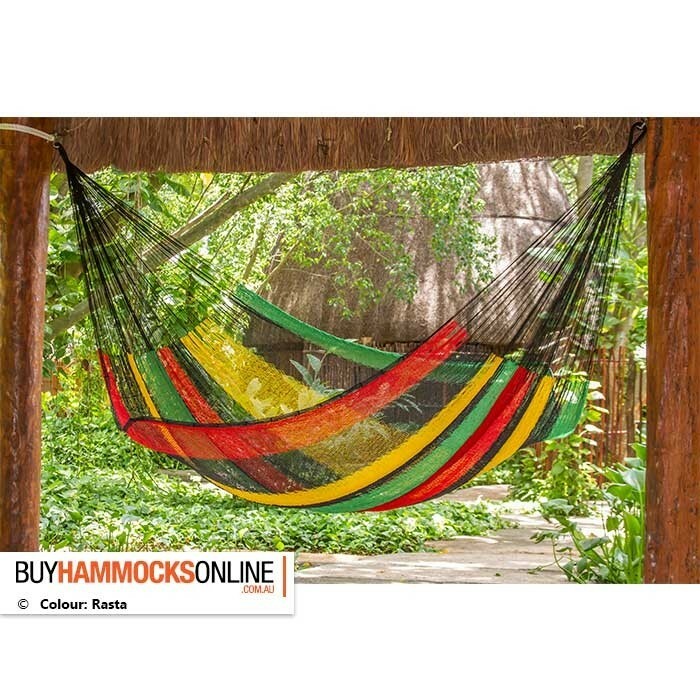 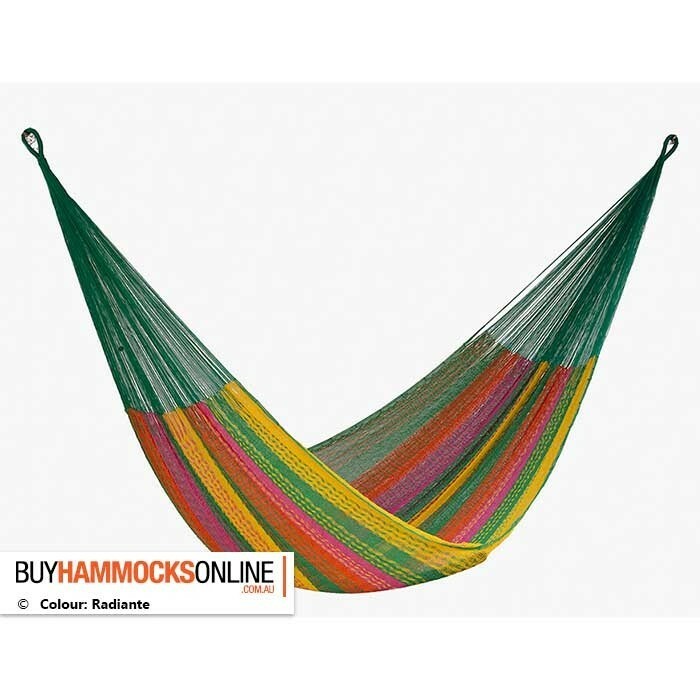 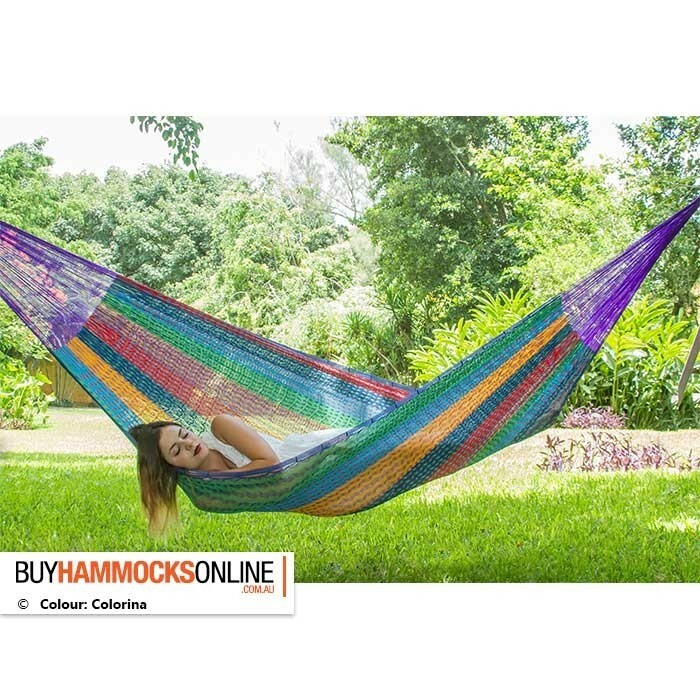 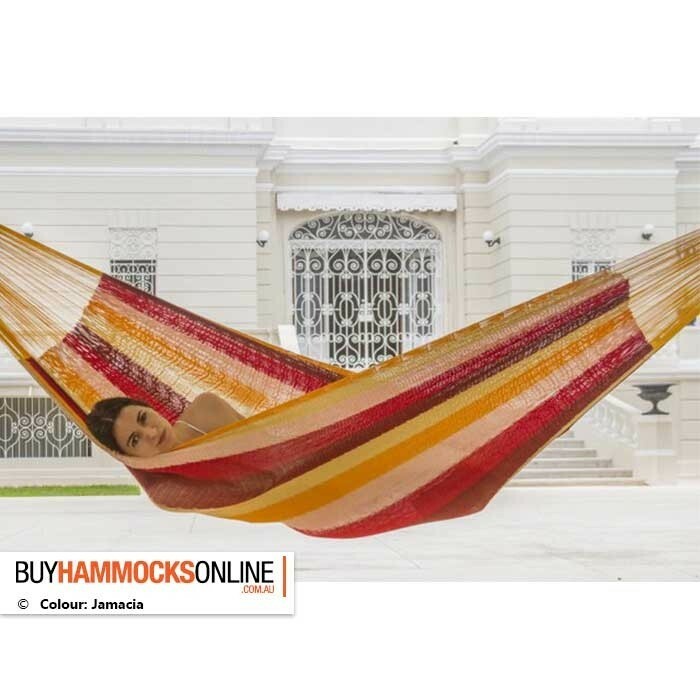 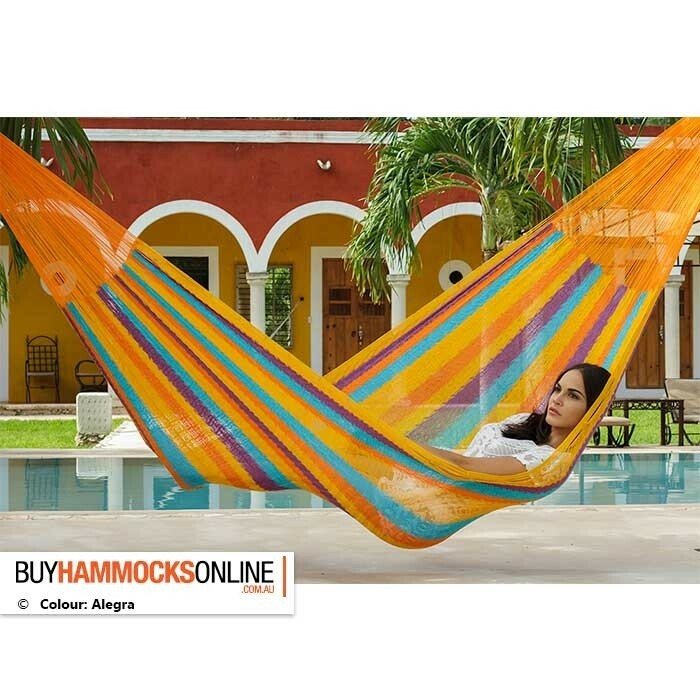 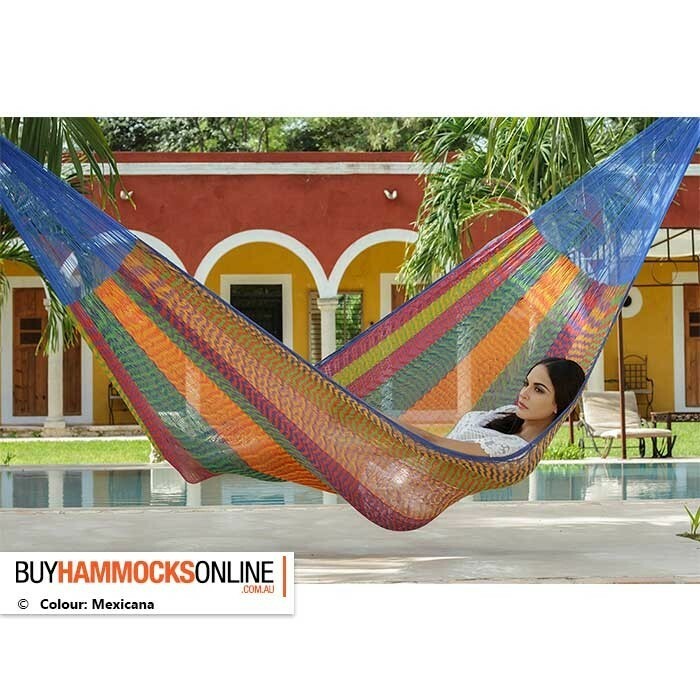 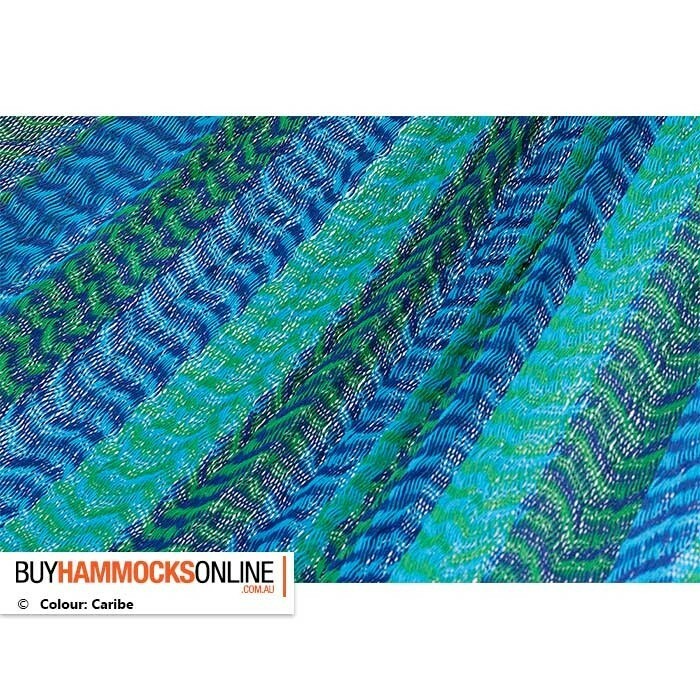 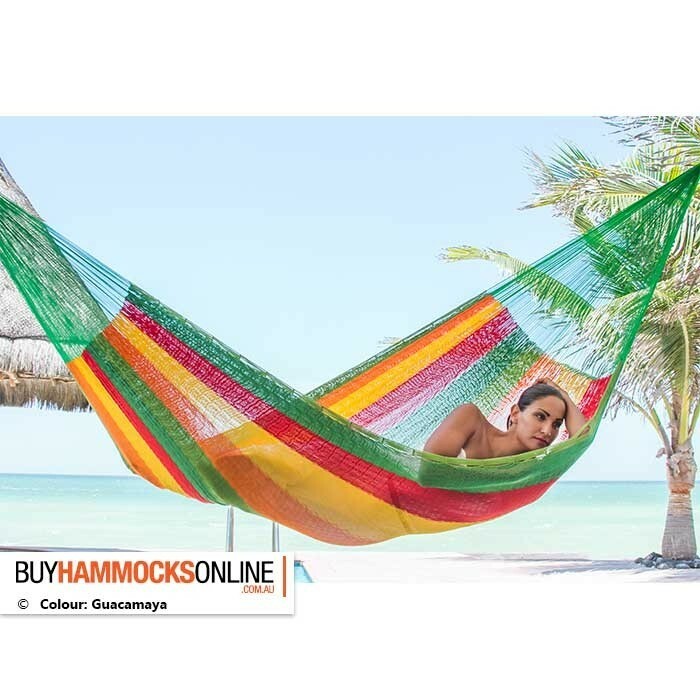 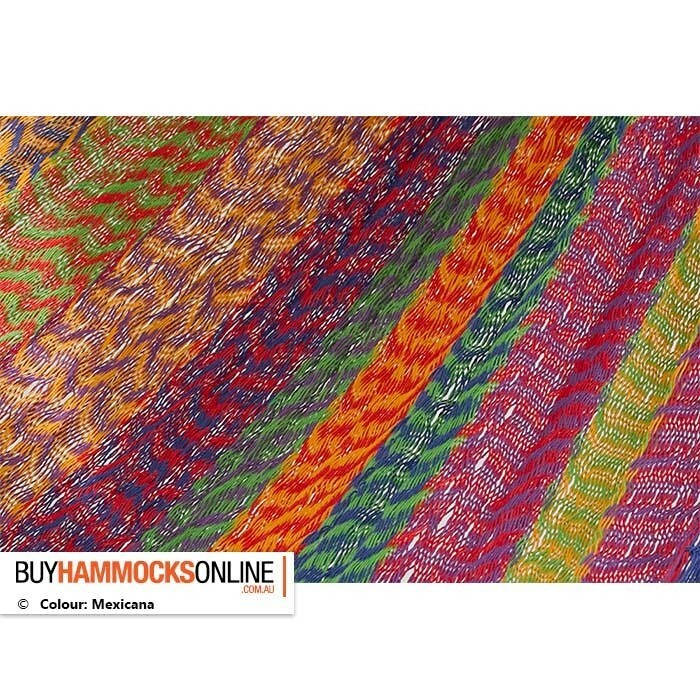 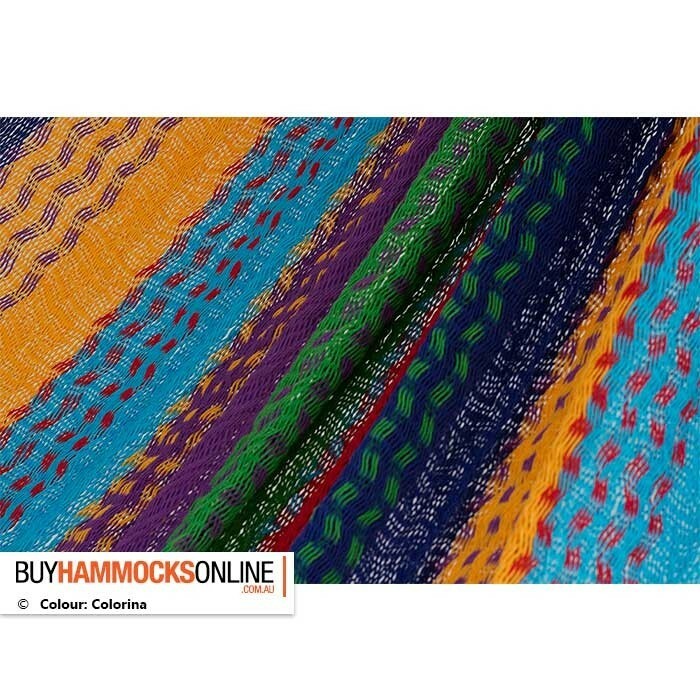 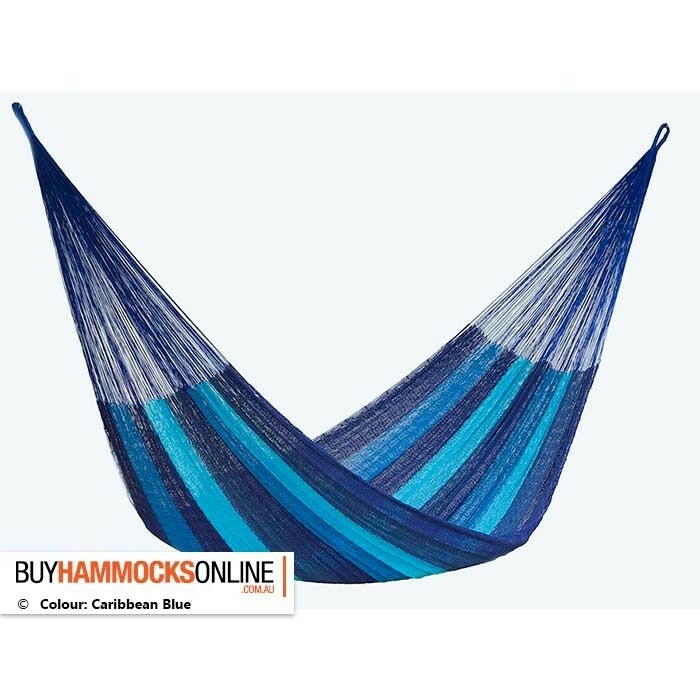 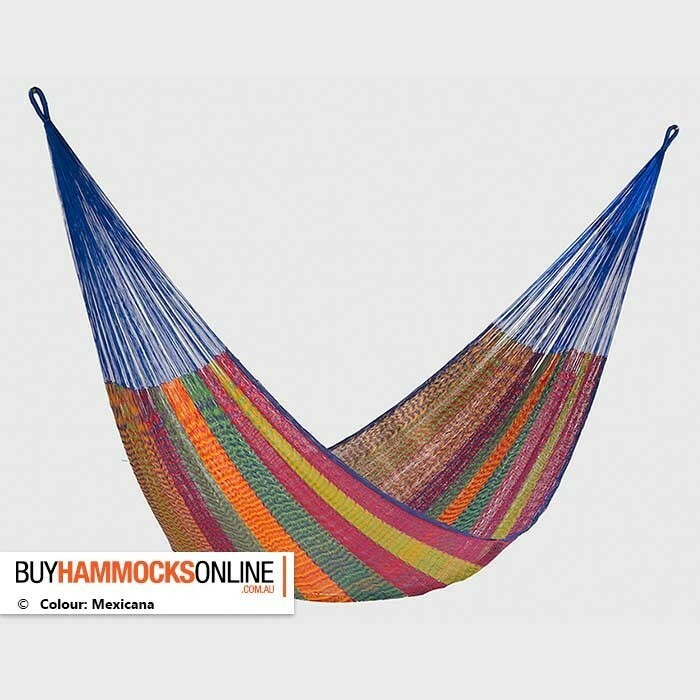 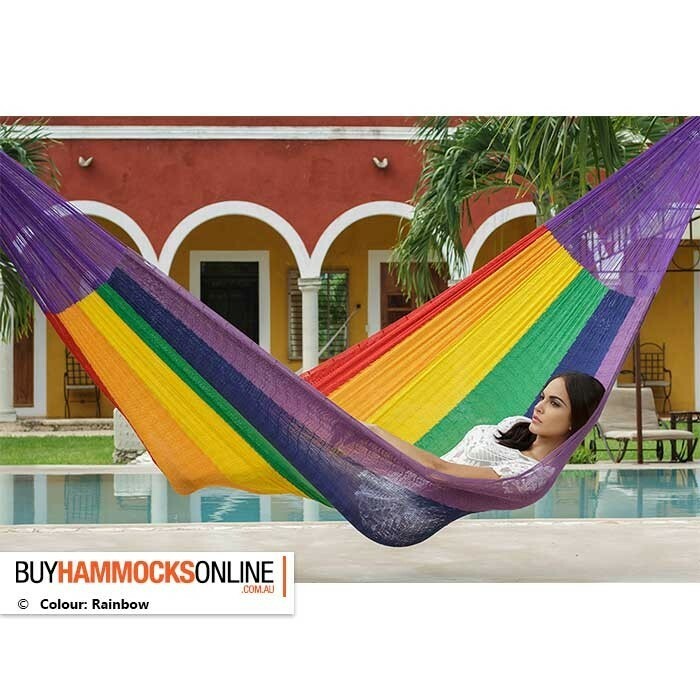 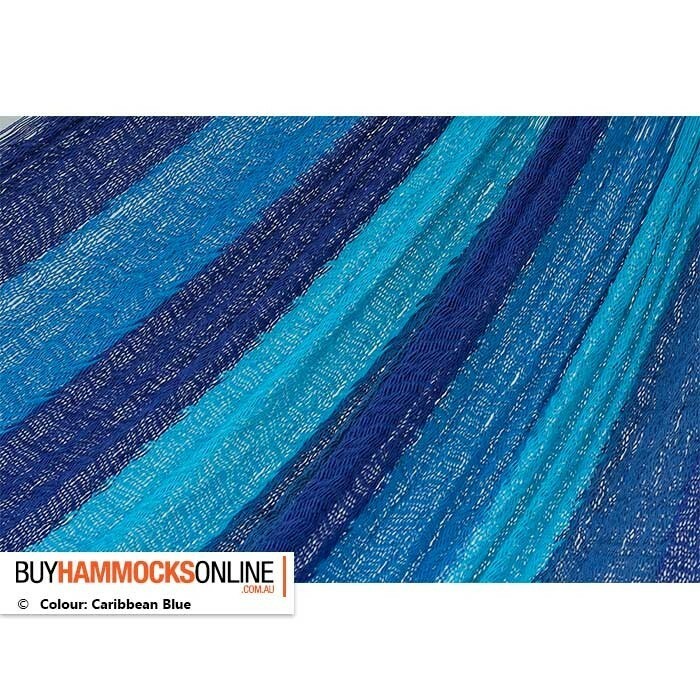 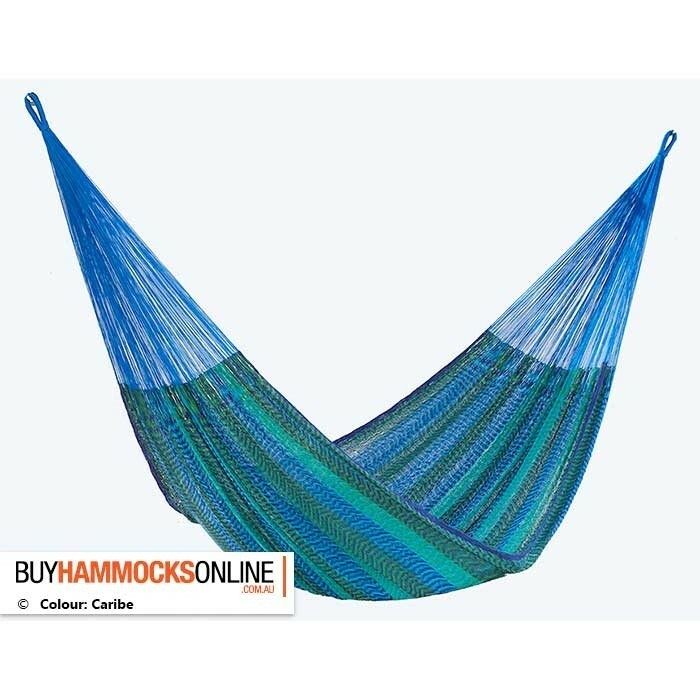 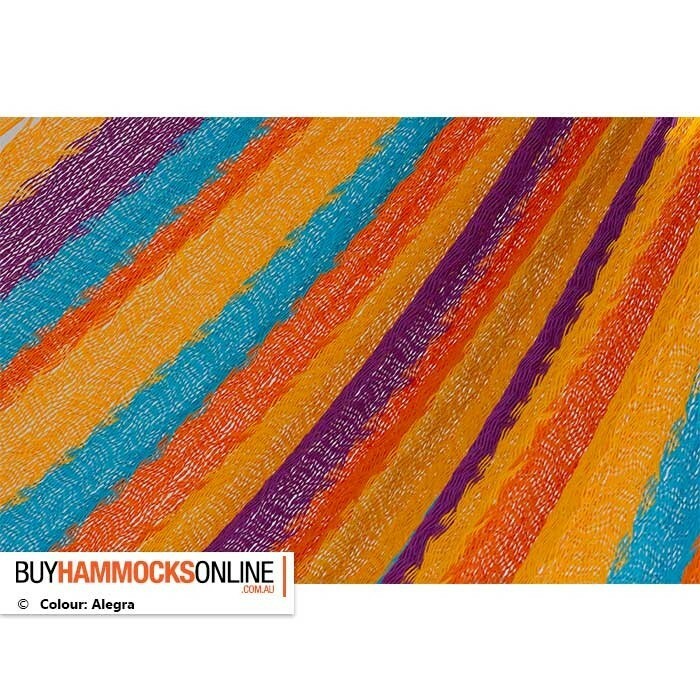 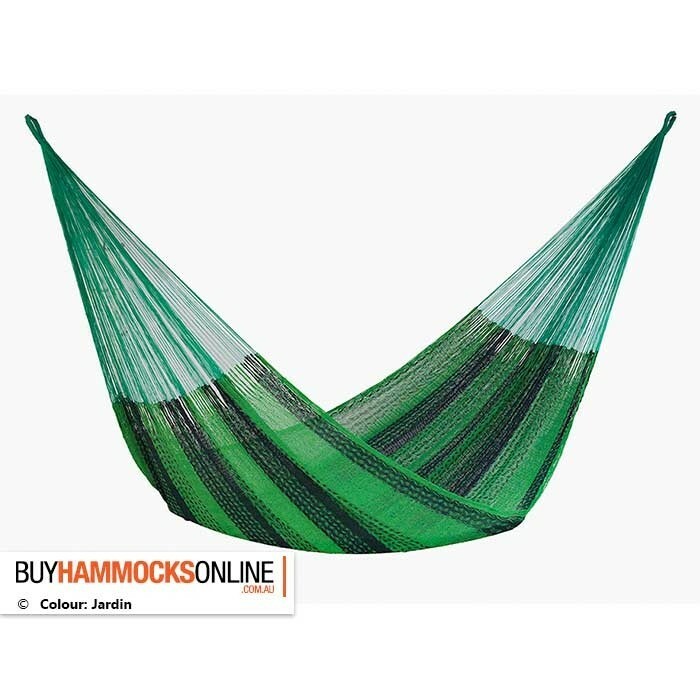 Boasting a plethora of vibrant colours and themes to choose from, the King Cotton Mexican Hammock is one of the most luxurious hammocks available in Australia. 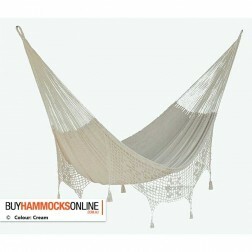 It is ultra comfortable, great to relax/sleep in and wake up feeling fully revitalized. 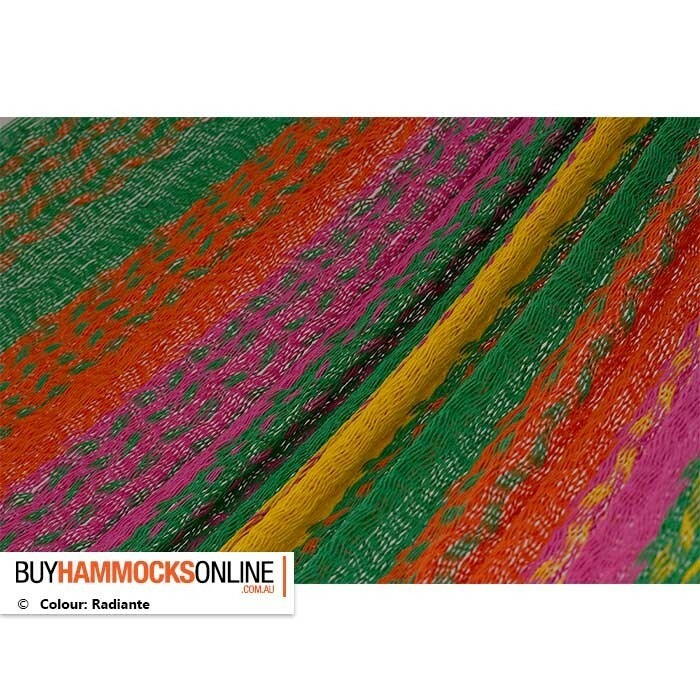 These are a range of colours that are limited editions, get in quick! 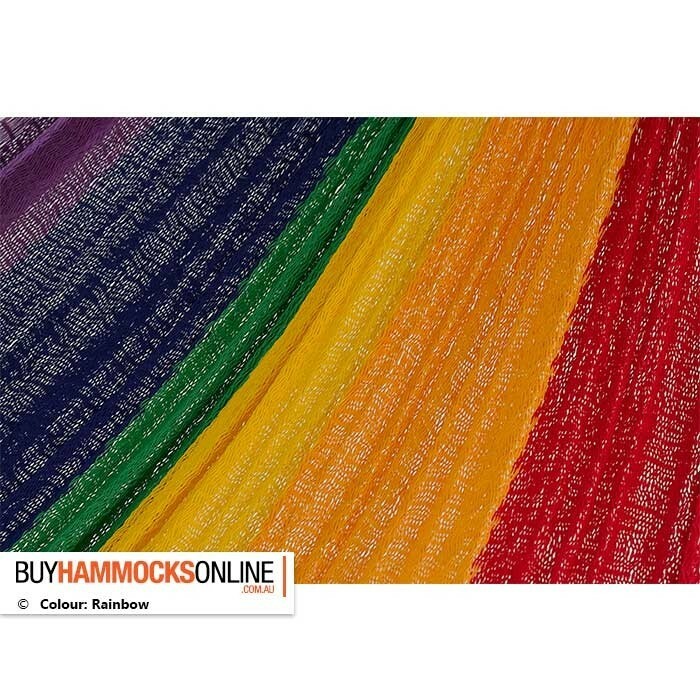 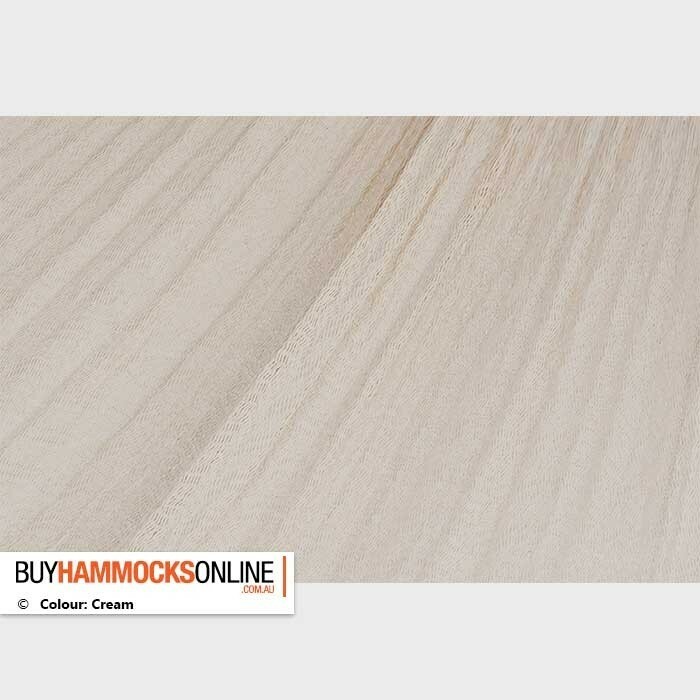 * If you do not see the colour in the available swatches, then the item is out of stock. 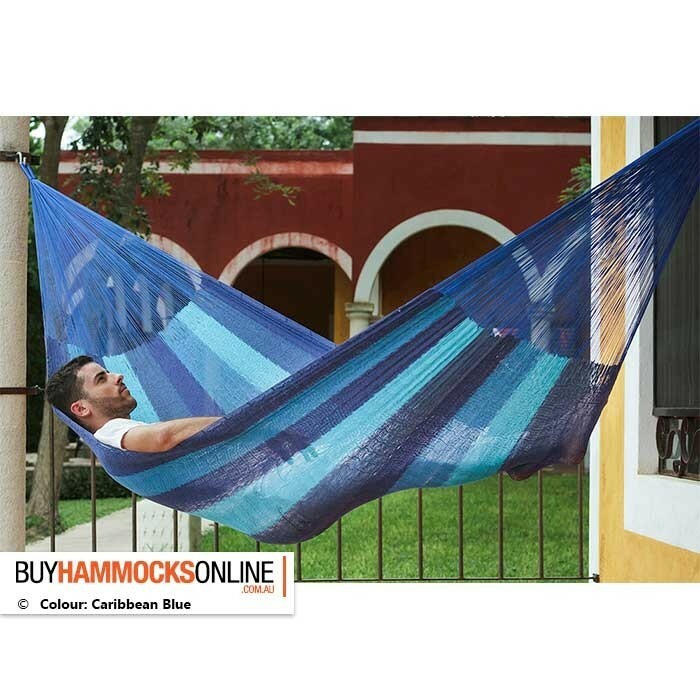 The King Cotton Hammock consists of finely woven cotton, laid out in a diamond-like weave to produce the superior comfort and strength this hammock is known for. 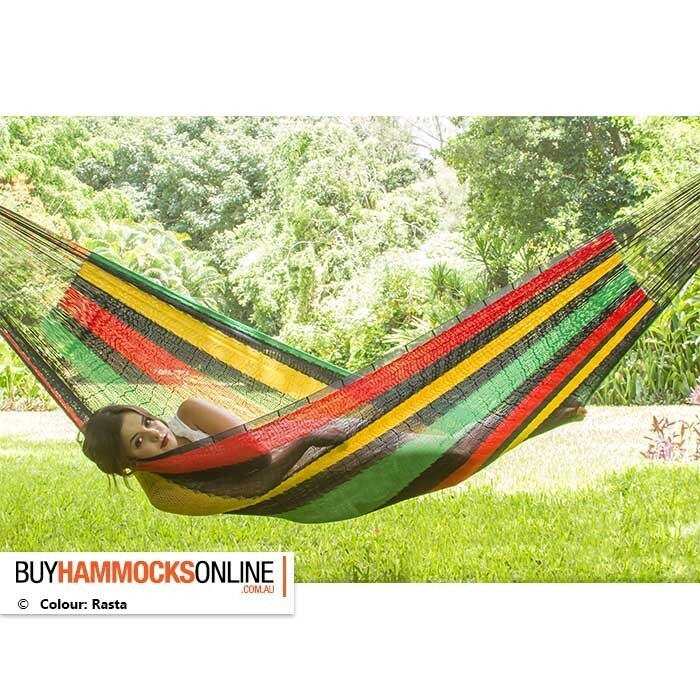 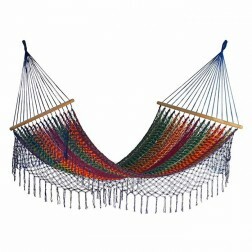 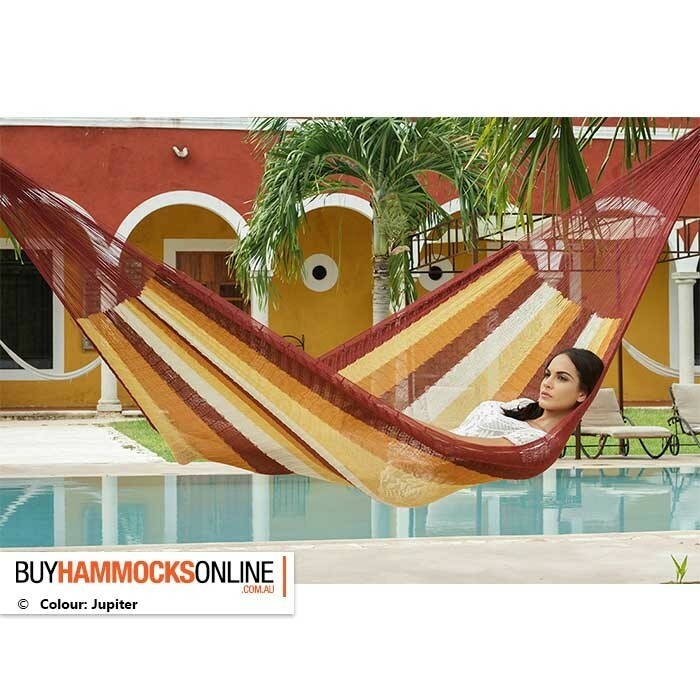 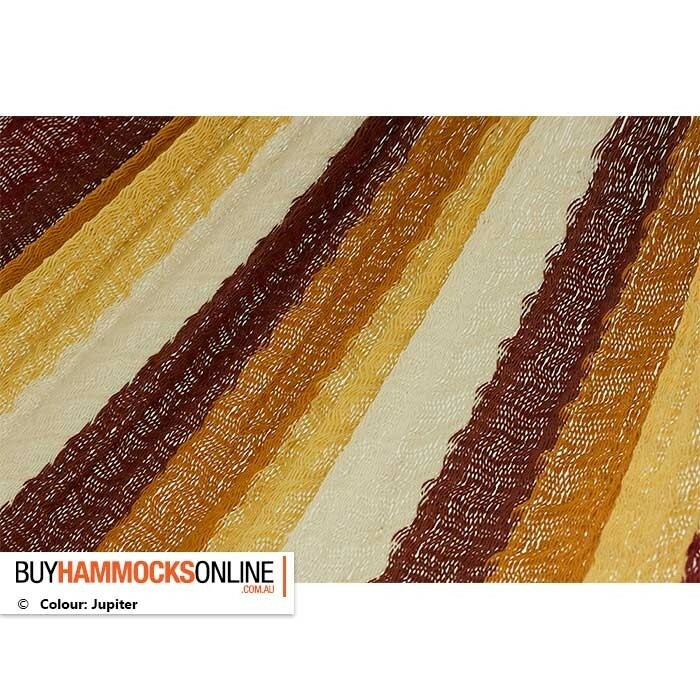 Purchase this expertly hand crafted hammock as a gift to yourself, the family or for that lucky someone. 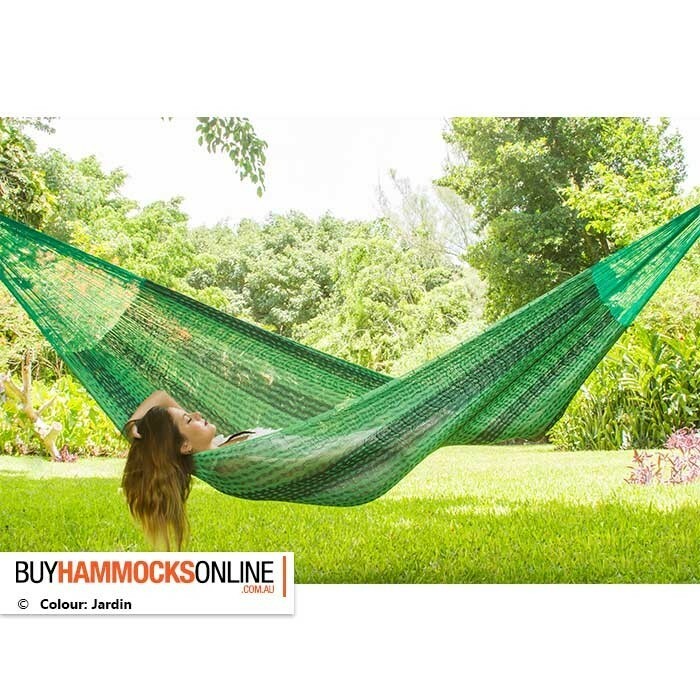 You get what you pay for with this hammock! 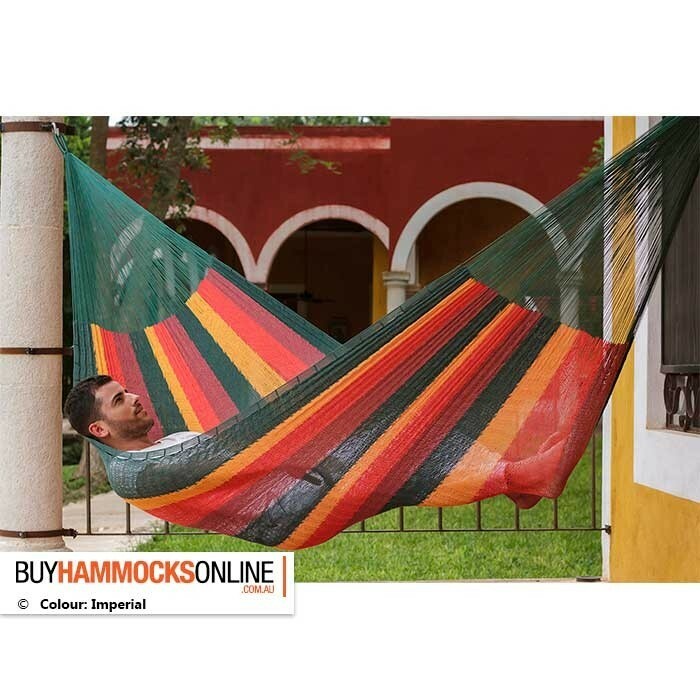 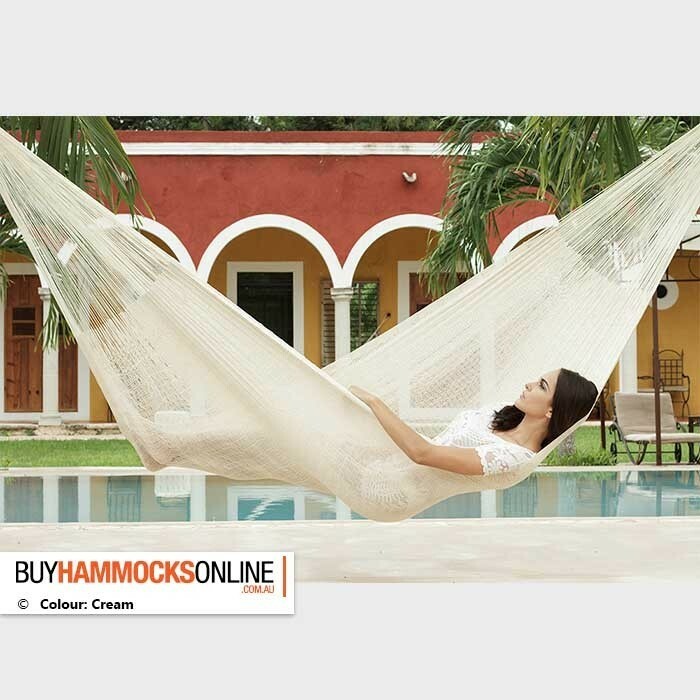 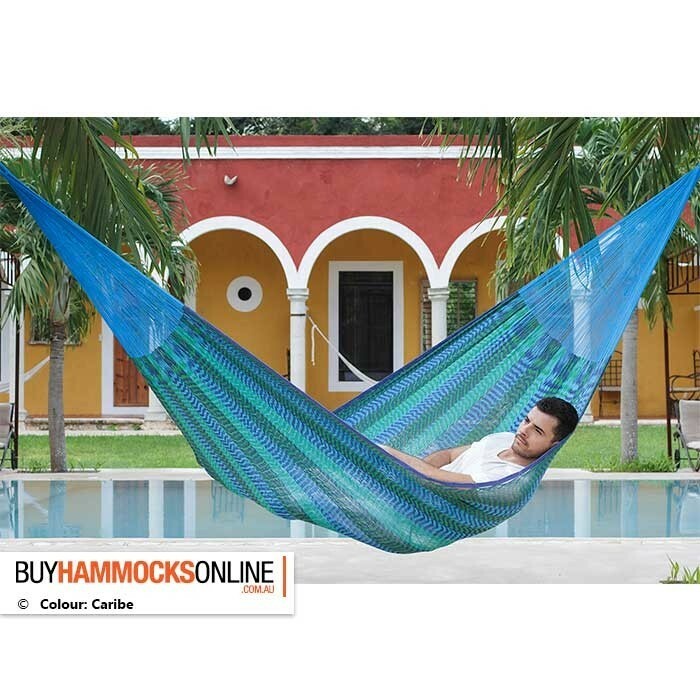 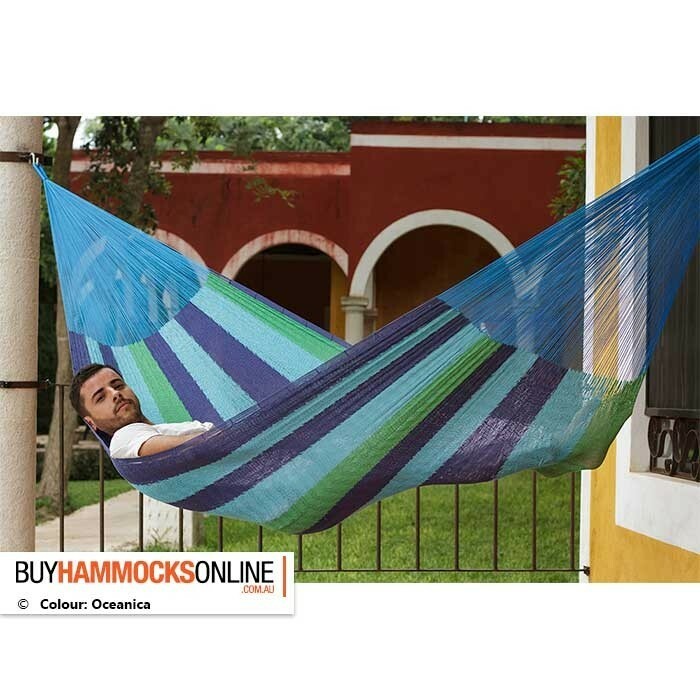 The King Mexican Cotton Hammock will stretch and mold to your body form, and although delicate, will provide years of comfortable, hassle-free lounging if hung undercover. 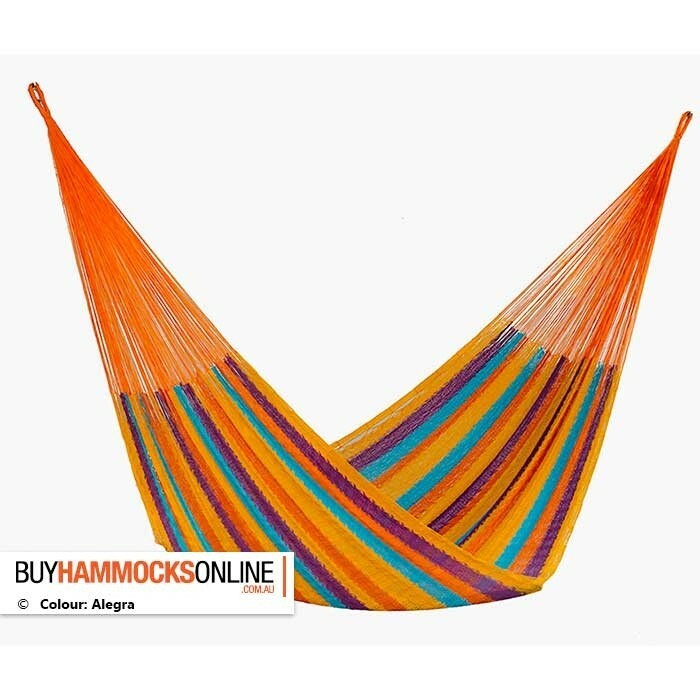 Hang this hammock in an open area, however to avoid colour fading and deterioration, we recommend just unhooking them when not in use. 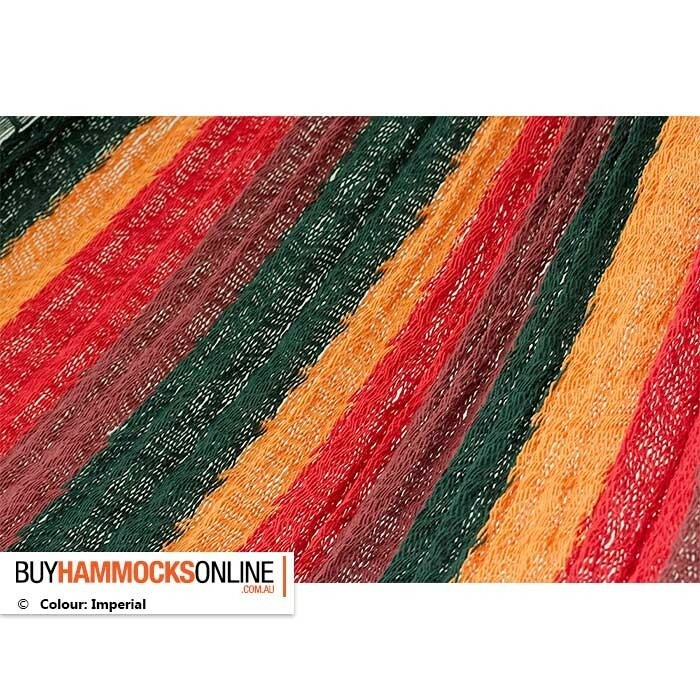 This is easily achieved with Tree straps - also available in our store. 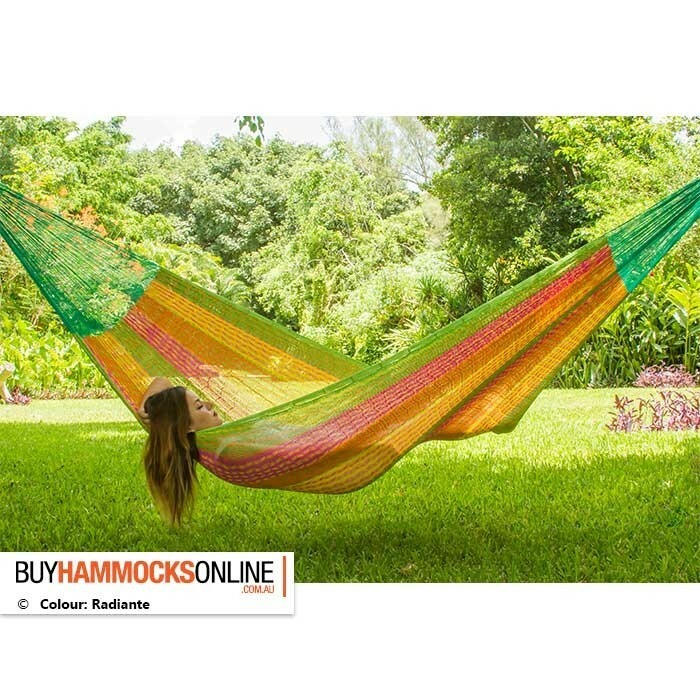 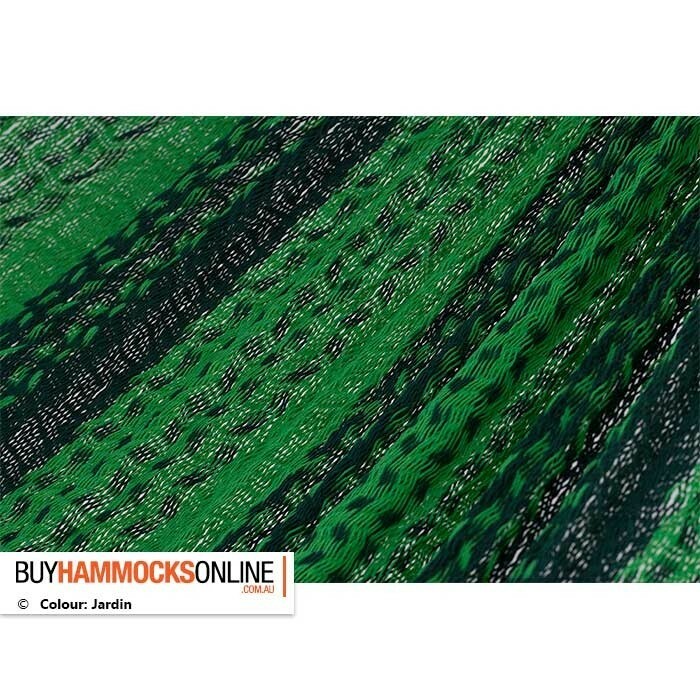 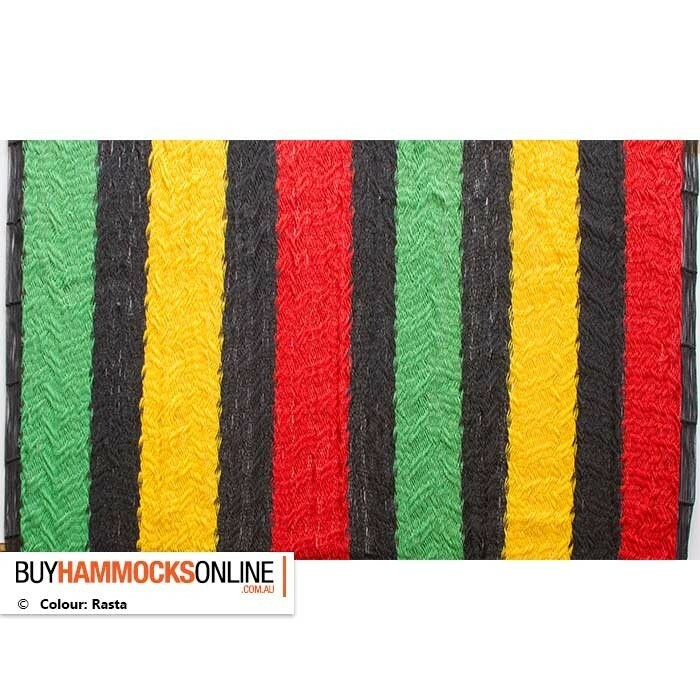 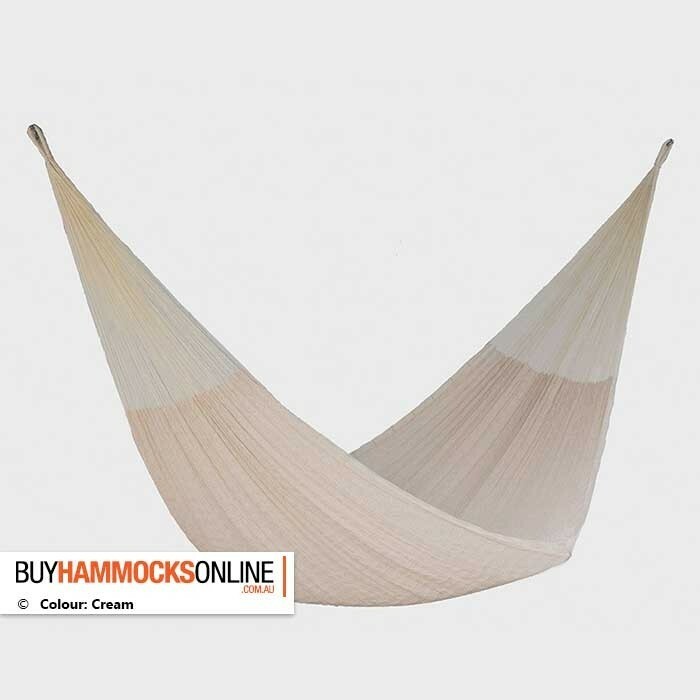 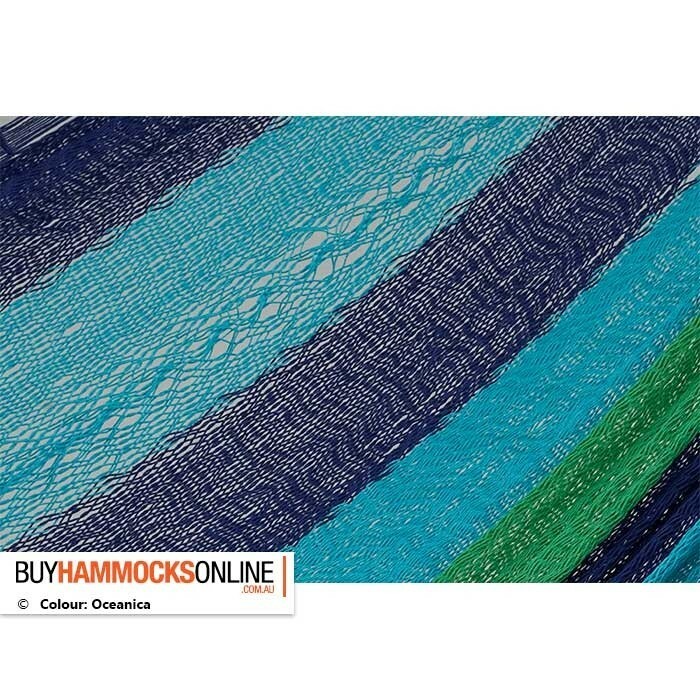 Purchase the King Cotton Hammock today in one of the multiple colours available, and have it delivered free in all major Australian Metro areas. 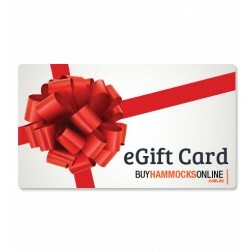 Perfect as a gift, as a self indulgent investment or as a surprise anniversary present for that special person in your life.